During times of need, it pays to have a friend to turn to for help. After all, even the best ones fall on hard times and setbacks are inevitable in life. For Gloria Fontanilla of La Union, Betty Mallon Talavera of Iloilo, and Lordini Yupano of Aklan, help came in the form of pawning, a practice that provided assistance all three women greatly needed at several points of their lives. Whether it’s to help finance a livelihood or to afford basic needs, giving up valuables for instant cash has proven to be a worthwhile financing solution for many Filipinos. Although single, Gloria took it upon herself to help her sister’s children finish school. All four of her nephews and nieces were attending college at the same time so the expenses came in lumps and there were times when her budget would fall short. During these instances, she had to pawn her jewelry in order to produce money. For her, it was worth it because she knows the value of education. “Mahalaga yung mga na-isanla ko pero mas mahalaga yung pag-aaral nila. Ayokong mahinto kaya nagsanla muna ako,” said Gloria about her decision to pawn her items for her loved ones. 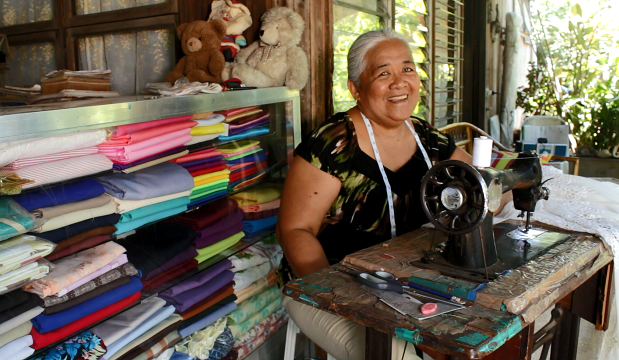 Aside from the tuition fees of her nieces and nephews, Gloria also resorted to pawning to fund her businesses. An Agriculture graduate, she maintains a small piggery, which she started in 1985. She is also a seamstress just like her mother. At 59 years old, Gloria has the choice to support only herself, but she chooses to extend assistance to loved ones instead. When times are tough and she herself needs some assistance, she is glad that she has someone to rely on. “Nakatulong talaga ang Cebuana. Malaking tulong’ yan sa amin ng mga pamangkin ko. Kung walang Cebuana, wala akong ibang matatakbuhan. Yun lang ang alam ko. Cebuana lang talaga,”she said. Meanwhile, in Molo, Iloilo, Betty has her own story of sacrifice. With eight children to support, she cannot emphasize enough the importance of hard work and perseverance. As Betty juggled household chores and her job in a salon, her husband was plying the streets as a jeepney driver to support their family. Both of them had dreams for their children so they did all the hard work that it took to give their children quality education. 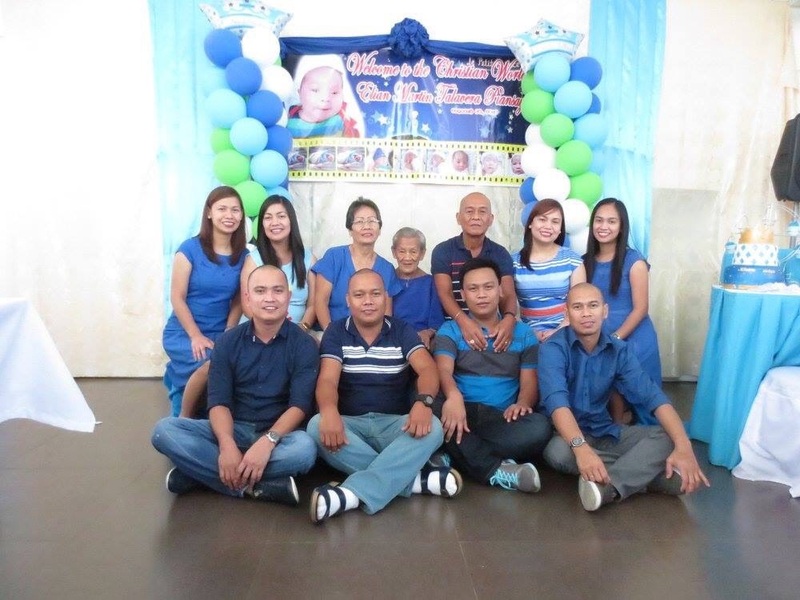 Eventually, their sacrifices paid off and all eight of their children finished college and became respectable professionals; a seaman, an engineer, a nurse, an automotive specialist, a call center agent, two managers at the Dubai Duty Free office, while one holds a key position in a local telecommunications company. For Betty, all the success that their family achieved would not be possible without the help that they were given. When asked what she has learned from all the struggles they went through, she emphasized that God must be the center of the family and that it is important to pay it forward. “Dapat humble ka at dapat tumutulong ka sa iba. At kahit ano man ang mangyari, kailangan pamilya ang nauuna,” she said. 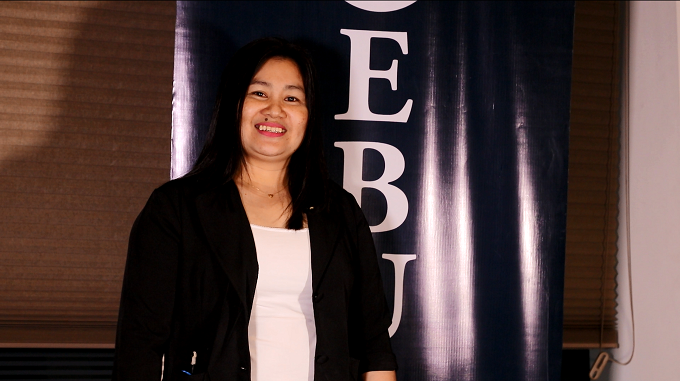 Aside from relatives and friends, Betty has also sought the assistance of Cebuana Lhuillier when they were in need. She tells that when she was younger, she managed to collect some jewelry which came in handy when she already had her own family. Through pawning, she was able to pay her dues when she was strapped for cash. Now with five grandchildren, she realizes that giving up these items was well worth the rewards. At the young age of 14, Lordini, who hails from Aklan, had to step up and take on the responsibilities of her father when he passed away. As the eldest of a brood of seven, she had to put aside her own studies and prioritize the education and needs of her siblings. Lordini had to find different ways to make money in order to keep her siblings in school. Although uncertain about her chances of achieving anything, she eventually decided to try her luck in Manila where she worked as a maid, as a saleslady, and a street vendor. No matter how difficult, she was able to sustain the education of her six brothers and sisters until they finished college, not minding that she herself was not able to continue her studies after high school. Whenever she had enough money, Lordini would reward herself with some jewelry. This was during a time when she was much younger and gold was less expensive. Little did she know that, as she would later become a single mother of two, such acquisitions would help her through some financial difficulties. “Nakahiligan ko mag-ipon ng alahas na nakatulong talaga noong nagipit ako at nagsanla. Tsaka ko nalaman na sobrang lumaki na pala ang halaga ng mga na-ipundar ko. Kaya noong nalaman ko ang kalakaran sa pagsasanla, ginagawa ko na sya at sa Cebuana ako kumakapit dahil nakagaanan ko na ng loob ang mga tao sa branch at panatag ako na hindi mababawasan ang alahas ko dahil naka-seal sa plastic at pinpipirmahan sa akin kaya safe,” she said. With her penchant for jewelry and having discovered the benefits of pawning, Lordini became an alajera and now has her own jewelry business, which has been her primary source of income. She still continues to pawn for the needs of her business and for the education of her two children who are in third year college and grade 7th. Aside from having been able to support the studies of her six siblings, the savvy 39-year old is proud to now have her own home. “Hindi ako nakapagtapos pero proud ako na napagtapos ko ang mga kapatid ko. Tinandaan ko yung bilin ng ama ko na huwag ko pababayaan ang pamilya namin. At meron na rin akong lupa at bahay na na-achieve ko rin dahil na rin sa Cebuana. Sobrang sakripisyo ang dinanas ko para matupad 'yun. May mga beses na nag-instant noodles ako para lang makatipid. Pero maganda ang naging balik ng lahat ng mga paghihirap ko,” she said. Three women with three different stories of strength, compassion, and success. Gloria, Betty, and Lordini represent many of the Filipinos have to make countless sacrifices in order to surpass life’s challenges and put other people’s well-being before their own. Success comes in different forms and interpretations, and for these three women, its true essence is being able to share blessings and achievements with others—be it a sibling, a nephew, or a daughter. Ka-Cebuana Stories is a series of articles featuring Cebuana Lhuillier clients and stakeholders in celebration of the company’s 30th anniversary.